For the last 10 days as I've cycled many of the legendary Cols of the French Alps and some at special events where the roads are only open for cyclists, I've witnessed how E-Bikes are no no longer the reserve of portly MAMILS. I've been back out in the Alps for the past 10 days and year on year the explosion of growth in E-Bikes is truly phenomenal! Over the past five or so summers I've seen the local bike rental shops evolve from dipping their toes in the water with a couple for rent, to now being E-Bike only shops, and having whole "fleets" of them. In fact ,for my friends, we had to reserve nigh on a week in advance, and even then sizing availability was an issue. When you consider that a daily rental of one E-Bike is less than a daily lift ticket you can sort of understand the advantages. I have to admit to initially not being a big fan of E-Bikes and really thought that they should be confined to off-road. However over the last three days as I've ridden up some of the most famous Cols in France - the Granon, the Galibier and the Izoard - on closed roads (Cols Reserves, only open to cyclists) for two to three hours in the morning my perception has changed. And the important element is 'roads'! 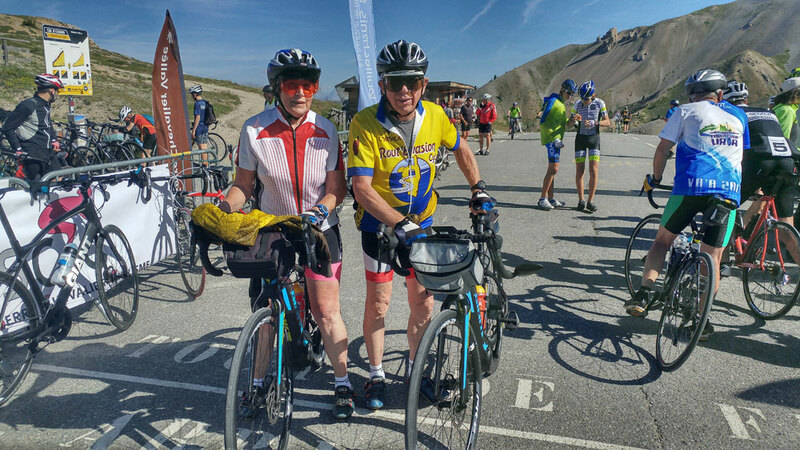 I cycled the Galibier going up from the Lautaret and then over down to Valloire and then back up the Galibier so I pretty well saw all the cyclists and, wait for it, I reckon E-Bikes made up nigh on 30 percent of the total. Maybe more? I saw many couples, with the guy often like me of more mature years on a road bike, while his Mrs was tagging along on an E-Bike. I had one young girl circa 12 years old come past me on one followed by her younger brother circa 10 years old on a road bike leaving me for dust. Many of the guys on them are portly dudes of 55+ who maybe in their day were fit slim cyclists, I just think as road E-Bikes become more prevalent - Scott, Cube, Giant, Pinarello and today I think I saw a Lapierre - then the market will explode. Maybe not in the UK but certainly here in the French Alps. The day after the Galibier I arranged for a gang of 'geezonaires' to cycle the Izoard which again was closed to all motorised traffic for 2.5hrs. All were on E-bikes, pas moi, and again there were many more E-Bikes making the journey up to the famous col, although not so prevalent as the Galibier, as that's more to do with the larger volume of tourists in and around Valloire compared to the Queyras there was still a good percent of E-Bikes. As these photo montages show there's a very broad demographic of users, not all portly MAMILS, indeed far from it. And a mixture of couples. One might ask the question why a young boy should be riding one, but there again most young 10 year olds would not have the stamina to attempt to cycle a col like the Izoard, and there were many families out together on a mixture of E-Bikes and non E-Bikes. And that is the case for many. Whereas a few years ago you would only really see E-Bikes off road, they are now just as popular on the road; and that might have something to do with people feeling more secure riding on the road rather than on a rough mountain bike trail? Cycling up to the Izoard I was on the lookout for interesting stories and I came across the couple (Giant Road E-Bike), in the picture at the top. He was 79 and she 75. You only had to look at their legs to see that once they were strong cyclists and, for them, the E-Bike enables them still to get out and ride many of the mighty cols. A huge chapeau! As for my ride with my fellow geezonaires, after we'd cycled up the Izoard, as we commenced our descent I made my apologies and said I'd see them at the bottom as one thing about E-Bikes is that they are not that fast downhill, especially if you still have to peddle as they are limited to 25kph where as down the Izoard on a normal road bike I can achieve nigh on 80kph. Not too sure about an E-Road bike if you can freewheel faster as I know you can if you switch off a E-MTB? 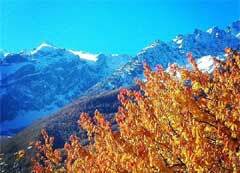 Once back down in Cervières, we started climbing again, another 450m vertical up to Les Fonts for a superb picnic. Final stats of the ride were just under 80km and some 2,000m of climbing, and, as most cycled on eco mode, they still had plenty of battery left.